GxPReady! Suite is designed for businesses (including FDA regulated businesses) to help with tracking calibration, maintenance and validation activities and records for equipment in their facility. Validated subscription-based maintenance, calibration, and validation tracking software with an optimized workflow to reduce your resource usage. 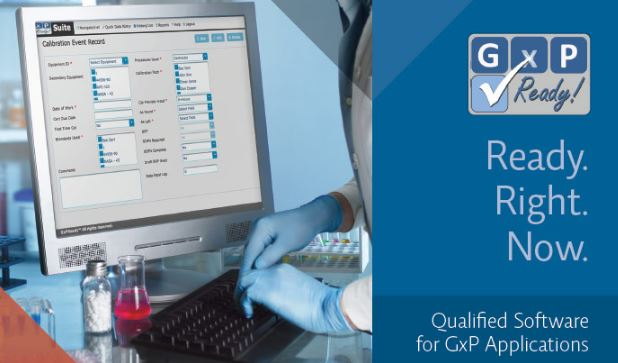 Meets FDA validation requirements, including 21CFR11, this software is useful for any business, but especially for pharma, medical device, bio-tech, nutritional supplement, food or beverage companies. Lowest price and the fastest validated CMMS system startup available. No extra charges per user or per item. Price INCLUDES executed validation. GxPReady! Suite Reviews Recently Reviewed! Pros: My job was to audit GxPReady as a vendor to verify they are compliant with FDA regulations, they exceeded my expectations in the site visit I performed, in terms of documentation and quality management they are very organized and easily passed the assessment to be used at my company, we have since used it for maintenance tracking and our users say it works flawlessly. Cons: It would be good if they had more modules to incorporate features like a full fledged Quality Management System but for a company our size, calibration, validation and maintenance tracking is enough for now. Easy to use, clear configuration. Pros: We have used this software for 3 month to record preventive and corrective maintenance event. The vendor provided a detailed training before you actually use it. The user interface is intuitive and easy to navigate. Do not be hesitate to throw questions to the vendor. They really value this partnership so they fix the problem in a timely manner and are very easy to communicate with. The configuration is clear that it will always bring you to the right place. Cons: The equipment page cannot be delivered by double-clicking the single item in the spreadsheet but instead user should go to VIEW button to proceed; however, this is just a minor and the overall user experience is not affected by that. Overall: Time saving, cost saving and easy to management of preventive and corrective maintenance event. Pros: Well organized and the customer support was outstanding! Our rep is very helpful and Knowledgeable. Easy to use and encourages good practices! Cons: Data entry was a little time consuming to get all of the data compiled. Overall: Data entry support, No per user fees, and great customer support! I have really enjoyed working with GxPReady team.